-Mumble needed for comms to replace in-game team speak. -Be on the server and in mumble no later than 7pm bst/uk to get things organized. -Notify me if you cant make it or suddenly have to leave! Add me on steam friends here to let me know! Posted: Sat Sep 12, 2015 7:53 pm Post subject: Re: THG 9v9 Highlander Match! Me please SOlly -> anything but spy -> spy. 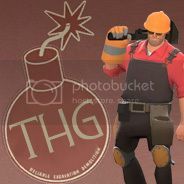 Posted: Sat Sep 12, 2015 8:51 pm Post subject: Re: THG 9v9 Highlander Match! Posted: Sat Sep 12, 2015 9:04 pm Post subject: Re: THG 9v9 Highlander Match! I can come. Anything but spy. Posted: Sat Sep 12, 2015 9:29 pm Post subject: Re: THG 9v9 Highlander Match! Posted: Sat Sep 12, 2015 9:43 pm Post subject: Re: THG 9v9 Highlander Match! I notified them about the new tournament. So i assume they will send another forum message if they want to join. Posted: Sat Sep 12, 2015 9:51 pm Post subject: Re: THG 9v9 Highlander Match! Yep no problem and thanks for letting your old team know coins. Posted: Sat Sep 12, 2015 10:17 pm Post subject: Re: THG 9v9 Highlander Match! Posted: Sun Sep 13, 2015 8:23 am Post subject: Re: THG 9v9 Highlander Match! Posted: Sun Sep 13, 2015 3:58 pm Post subject: Re: THG 9v9 Highlander Match! Posted: Sun Sep 13, 2015 7:18 pm Post subject: Re: THG 9v9 Highlander Match! Thanks for organising it though! 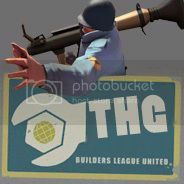 Posted: Sun Sep 13, 2015 8:47 pm Post subject: Re: THG 9v9 Highlander Match! Posted: Sun Sep 13, 2015 9:53 pm Post subject: Re: THG 9v9 Highlander Match! Posted: Mon Sep 14, 2015 11:20 am Post subject: Re: THG 9v9 Highlander Match! The wife is away in Ibiza that week so I'm free to play (no wife = no video game curfew). I'll let others chose their preferred class and play what's left. Posted: Mon Sep 14, 2015 6:03 pm Post subject: Re: THG 9v9 Highlander Match! Hellooo! I would like to play with you guys. Can play anything really.